A friend recently asked me what it was that had made me left-wing. "Cricket," I replied. "Cricket made you a socialist?" said my friend. "Those aren't words you'll hear too often." I suspect they aren't. But it was certainly cricket that awakened my political side. I am not from a political family. I don't think I ever knew who my parents voted for, and politics was certainly not a topic for discussion in my very Middle England family. Cricket was a part of my childhood in the way it was for many girls like me, in the sense that my father and brother both played. I wouldn't say I loved it, I wouldn't even say I liked it, but it was a presence. My experience of cricket was that it was played by middle-class white men, even if that didn't register with me at the time. My world was small. I was educated in a small private girls' school and we mixed with other middle-class white families. It was fun, comfortable and pleasant. And for the boys and men I knew, that's exactly what cricket was too. That was until I was 15 - when cricket unintentionally shook me into becoming more aware of the wider world, that other people's lives weren't always like my comfortable one, and that the political party in power could have a huge and tangible impact on lives. My dad and brother played for one of the lower teams at Sheffield Collegiate CC - a long-established club that has become well-known for having bred Michael Vaughan, Joe Root and Richard Kettleborough. And I, a 15-year-old girl, discovered that you could earn yourself a crisp ten-pound note if you were willing to spend your Saturday afternoon doing the scoring. So armed with pencil case and calculator, off I'd trot to the cricket. One week at our home ground at Abbeydale Park and every other week away to whichever South Yorkshire town or village we were assigned to play. Sometimes this took us to pretty villages in the Peak District. Mostly it took us to small towns and villages around Sheffield, Rotherham and Barnsley. Places that invariably had a pithead. Towns with a long and proud history of deep-shaft mining. Towns where every man was employed in the pit, as his father and grandfather had been before him. But it was ending. There was to be a concerted assault on the mining industry that led to the long and bloody miners' strike of 1984-85, following Margaret Thatcher's decision to adopt a policy of reduced subsidies, pay restraints and pit closures. Decisions made in Westminster ripped the heart out of the towns I was visiting with my pencil case. Arguments about the mining industry are not for these pages, but one thing isn't in doubt: the programme of pit closures devastated entire communities across South Yorkshire and other parts of the UK. 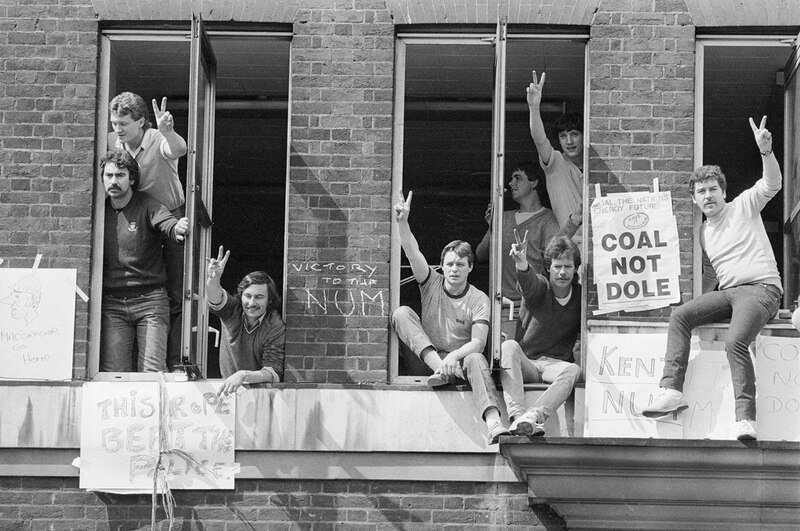 As a teenager I wasn't equipped to understand the intricacies of the economic arguments - all I knew was that I would sit there with my scorebook in places like Grimethorpe, Maltby, Dinnington, Royton and Treeton, where the pit had either closed or was threatened with closure and there was a palpable sense of anxiety. 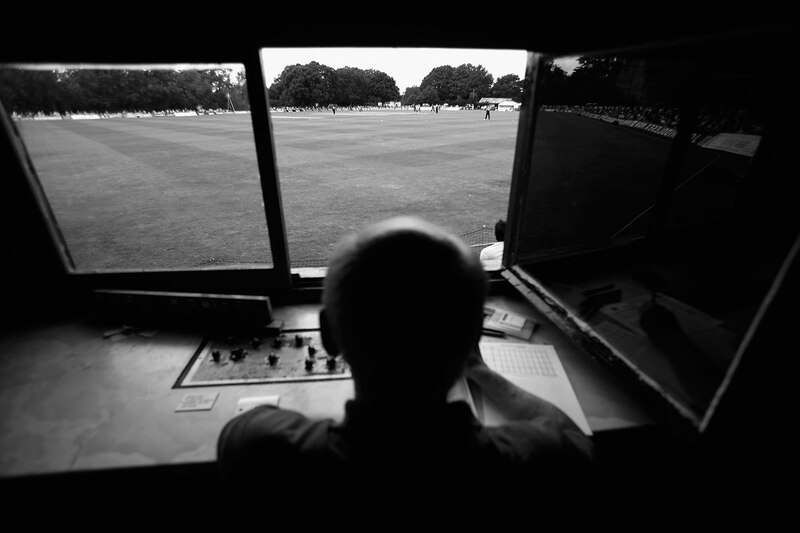 As a scorer in lower-league recreational cricket, you invariably sat at a table outside the changing rooms, alongside the players waiting their turn to bat. One couldn't help but hear or get involved in the conversations. Yorkshiremen aren't known for showing their emotion but listening to the batsmen of varying ages, shapes and ability discussing the present and the future, there was genuine worry, real anguish. I heard gruff voices break as they talked to their brothers, uncles, cousins and mates about what they were going to do for work or how they were going to pay the mortgage or the rent. One incident has never left me. I saw a portly offspinner break down in tears when asked for his match subscription. He didn't have it. He couldn't scrape together the five pounds he was being asked for. It made me angry. It made me sad. It made me feel helpless. And it turned me left-wing. Aside from their own future there was the future of the cricket club to worry about. The National Coal Board subsidised the clubs - they maintained the pitches, looked after the upkeep of the clubhouse or the miners' welfare club where we would have our tea and drink after the match. Without that how could they continue? Those visits also showed me just how much cricket was at the heart of the community. It wasn't just for the white middle-class. Cricket provided an escape from the worry the communities were facing. It provided friendship, support, bonding and laughter. It showed me the importance of the wives and girlfriends too. Those weren't enlightened times; I never saw a woman actually playing cricket, but I did see them to be the ones who held the club together by making the teas, running the bar, organising fundraising, selling raffle tickets. I travelled to these places only for a few years. Soon I went off to university and then moved down to London after graduating. But those few years, listening to the cricketers and seeing the profound effect of the decisions of the Conservative government of the time on them had a lasting effect on me. Some of those cricket clubs folded. Thankfully many have survived. They retain the name of the colliery or the miners' welfare, but with the pit long gone, the clubs have to do endless fundraising to survive. My own relationship with cricket has changed. I made an unexpected move from scorer to journalist and broadcaster. Those years serve as a reminder to me that cricket is so much more than press conferences, decisions made by the ICC in Dubai, and whether England will pick two spinners. It's about community, companionship and hope. It's cricket that made me political and gave me an awareness of those with lives different to my own, and those years as a scorer that poked me to speak up against injustices. And for that I shall always be grateful.